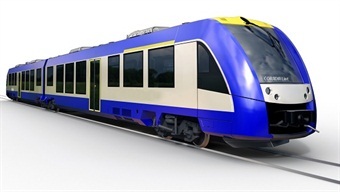 Alstom has been awarded a contract worth over $128 million from Transdev GmbH to supply 28 diesel Coradia Lint trains which are to be operated on the Augsburg diesel network 1 in Germany. Transdev GmbH, Germany’s biggest private operator of buses and trains, has been awarded recently by the free state of Bavaria a contract to run the Augsburg-Landsberg, Augsburg-Füssen and Munich-Füssen network. The modern and comfortable vehicles are scheduled to enter into commercial service around Augsburg for the Transdev-subsidiary Bayerische Regiobahn GmbH in December 2018.The regional trains, which are to be built at Alstom’s site in Salzgitter, Germany, can each transport between 225 and 485 passengers and can run at a maximum service speed of 87 mph. The high flexibility on the configuration of the fleet guarantees an optimum use for the operator. The trains will meet the new standard for interoperability of locomotives and passenger trains.